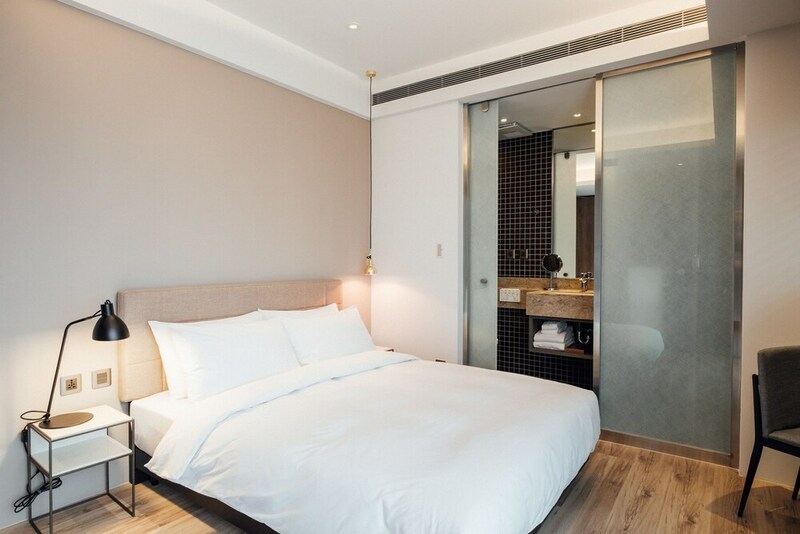 Located in Daan, this hotel is within 1 mi (2 km) of Zhongxiao Road, Daan Forest Park, and Yongkang Street. Huashan 1914 Creative Park and Sun Yat-Sen Memorial Hall are also within 2 mi (3 km). Daan Station is 7 minutes by foot and Zhongxiao Fuxing Station is 13 minutes. A restaurant, a coffee shop/café, and a 24-hour front desk are available at this hotel. WiFi in public areas is free. All 28 rooms feature thoughtful touches like espresso makers and slippers, along with conveniences such as refrigerators and electric kettles. For a bit of entertainment, LED TVs come with cable channels, and guests will also find free WiFi and free bottled water. The hotel offers a restaurant and a coffee shop/café. Wireless Internet access is complimentary. Local cuisine breakfasts are available for a surcharge and are served each morning between 8 AM and 10 AM. Chez Nous Hotel Taipei has a restaurant on site. Start your morning with a local cuisine breakfast, available each day from 8 AM to 10 AM for a surcharge.